A new study by the Harvard School of Public Health has found a correlation between consuming yogurt and lowered type 2 diabetes risk. Globally 366 million people are affected by type 2 diabetes with 26 million affected people in the U.S.
People with type 2 diabetes are at a higher risk of developing adverse health effects including cardiovascular diseases, such as coronary heart disease and stroke. The research was published in the British Journal of Medicine and consisted of analyzing 194,519 participants and recorded the medical history, and lifestyle habits of health professionals including dentists, nurses, pharmacists, podiatrists, physicians and vets. All research participants completed a health and lifestyle questionnaire at the beginning of the study and were followed up every 2 years with further questionnaires. All participants were free from diabetes, cardiovascular disease and cancer at the start of the study, and participants were excluded if they did not include information in their questionnaires about dairy consumption. Within the three samples, a total of 15,156 cases of type 2 diabetes were identified during the follow-up period. Overall, no association was found between total dairy consumption and type 2 diabetes. Consumption of individual dairy products such as cheese, skimmed milk, whole milk and yogurt was analyzed. 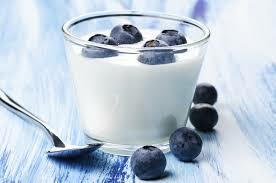 After adjusting their findings for dietary factors and chronic disease factors such as age and BMI, the researchers found an association between high yogurt intake and a lower risk of type 2 diabetes development. Dairy consumption and risk of type 2 diabetes: 3 cohorts of US adults and an updated meta-analysis, Mu Chen, et al., BMC Medicine, published online 24 November 2014. ← Canadian medical professionals support pesticide ban citing threat to nature and people.